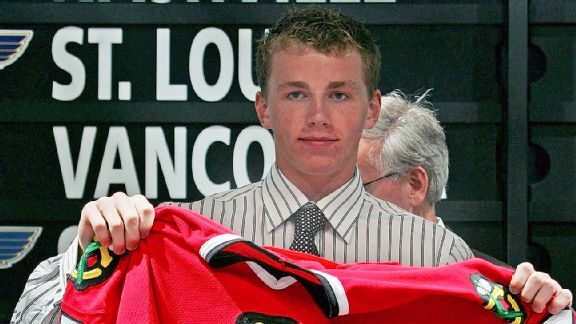 The Pittsburgh Penguins acquired defenseman Erik Gudbranson from Vancouver in exchange for forward Tanner Pearson. 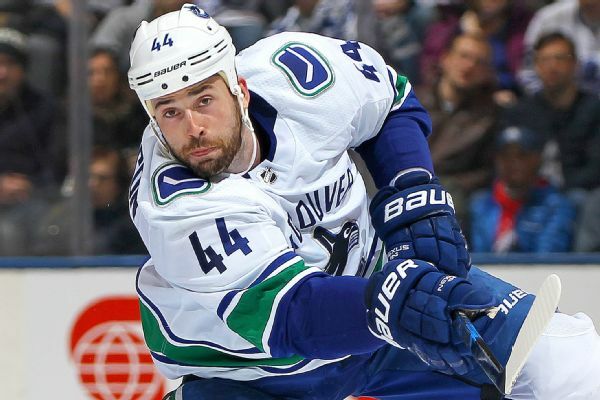 The Vancouver Canucks have signed defenseman Erik Gudbranson to a three-year, $12 million contract extension, ending speculation he'll be dealt at the trade deadline. 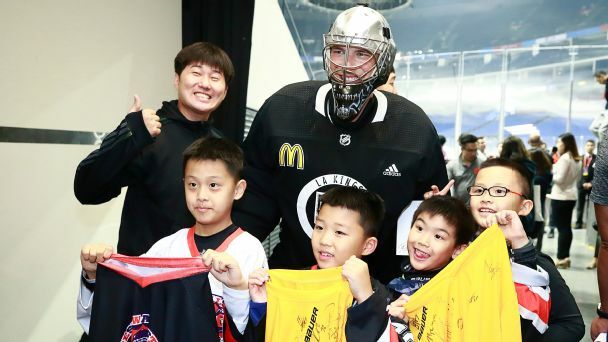 As the NHL makes its first foray into China, with showcase games in Shanghai and Beijing, players are looking forward to the chance to help grow the game in the world's most populous country -- and to soak up some local culture themselves. 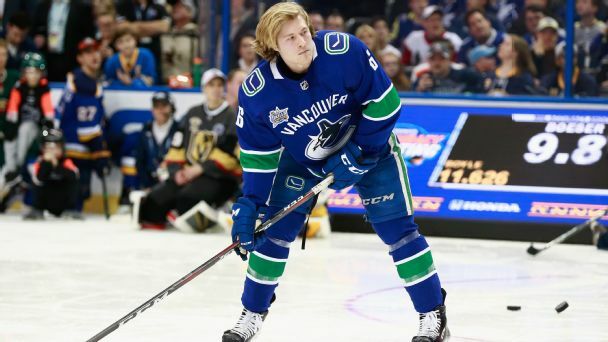 Erik Gudbranson, who has spent all five of his NHL seasons with the Florida Panthers, is headed to the Vancouver Canucks in a trade for Jared McCann. 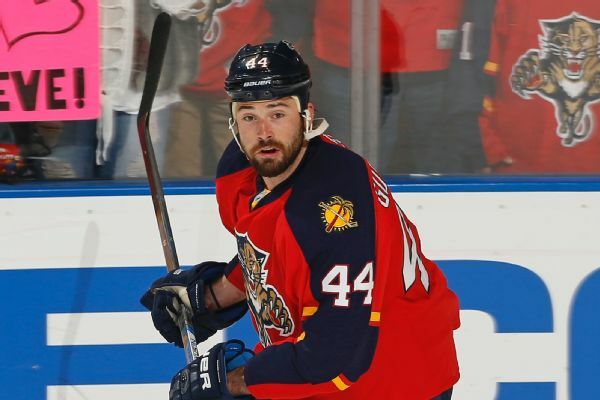 The Florida Panthers and defenseman Erik Gudbranson have agreed on a one-year contract worth $3.5 million, a source told ESPN's Pierre LeBrun. 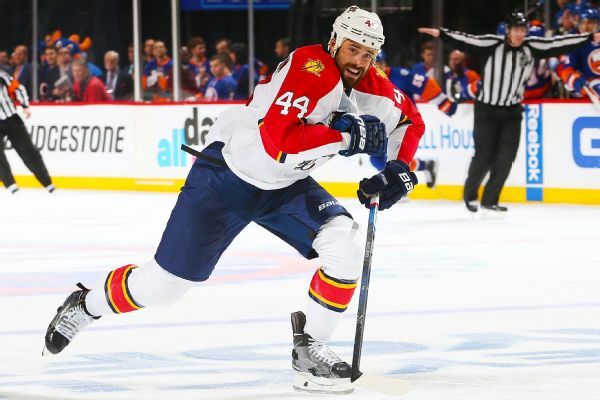 Last winter wasn't very good for the Florida Panthers. 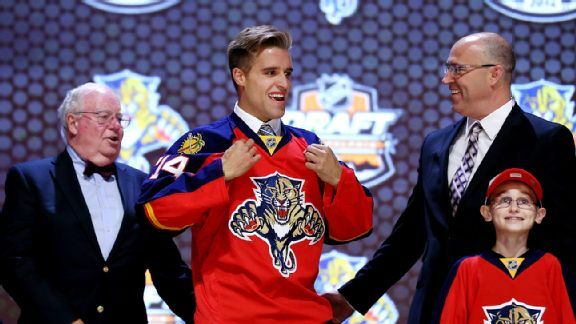 The Florida Panthers selected defenseman Aaron Ekblad with the first pick in the NHL draft Friday night. France stunned Canada in their first game of the ice hockey world championships Friday, winning 3-2 after a shootout.